Last Friday, we caught just A Glimpse of Rich Mullins. Today I want to take a closer look. 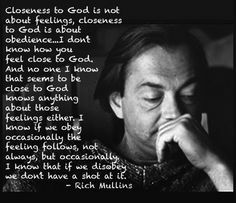 But let me first say, I didn’t know Rich Mullins personally (which I am sure surprises no one). Everything you are about to read is just an opinion I formed through Ragamuffin and watching You Tube videos. Ragamuffin is a movie based on the beloved Christian singer/songwriter Rich Mullins. Noticed I said based (we will come back to that in a minute). As with any good”biopic” movie, we get to see the life of Rich Mullins, from his early days on a farm in Indiana, through the beginnings of his musical career, to the inevitable troubles of soul torn between who people want him to be and who he really is, and, of course, his untimely death. The movie doesn’t shy away from the unglamorous side of the Christian music industry or the failings of a popular Christian artist, but rather seems to focus on it. Some say this points to the honesty of the film, others, like myself, are not so convinced. Please note that this film is supported by his family, and his brother has personally stated that he thought the movie, for the most part, accurately portrayed his brother. As I stated on Friday, I have a love it/hate it relationship with the movie. I mean it challenged me; it made me rethink some things; it made me interested in Rich Mullins. All that being said, I don’t think I really actually like the movie all the much, rather I just really like the subject. First off, my biggest problem with this movie is its limitations. A movie is what, an hour and a half long? That is not a great time frame to work with considering the complexities of human life. Therefore, the writers/directors/producers have to pick parts of their subject that they want to focus on and develop and the rest lies forgotten. In this case, they chose to focus on the struggles, imperfections, and demons (so to speak) of Rich Mullins. Why? Because that was the story they were telling. This movie was not intended to be about his music but rather his battle over self. Therefore, their choices make sense. 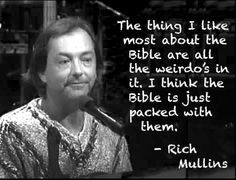 My only contention is that from what I saw from videos and my readings (and my husband who was a fan) is that there was more to Rich Mullins. Yes, he struggled with alcoholism. Yes, he had other battles (which I WILL NOT even begin to discuss). Yes, he could be brewedy and not very nice to those around him. However, he was also very funny. I have watched several videos of his concerts and while he did cover serious topics, he did it in a very humorous way. You see none of this is the film. Now, tell me that man is not funny! Second, part of me believes the people behind the movie misrepresented Mullins’ feelings on the church. At times it seemed as though they wanted us to believe Mullins was against going to church or the establishment of church. This is not the case. Mullins clearly was okay with church, he just wanted us to “be the church.” He wanted us to be a Book of Acts church, where we are more about serving than sitting in the church pew only. He wanted Christians to know that people know Jesus when we become Jesus to them. Our every day actions speak louder to others than what we do on Sunday morning. He encouraged churches to be the “church” in the community, to get out and get dirty. Mullins was not against church, but rather those in the church who thought lofty of themselves. Third, Mullins had a clear message to speak on the love of Christ, the love Christ has for us and the love we must have for Christ. I believe this stems for his struggle to love and accept himself. 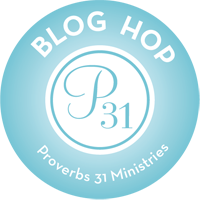 We all have similar stories as God will use each of our struggles as a platform to lead others to Him. However, we have to be careful about putting people (and God) in a box. While Rich Mullins truly understood the importance love, he also knew there was more to Christianity than love and salvation. I think the “popular” thing, even in the Christian industry, is a Jesus who is all about the love and grace. Nobody wants to hear about the cost. Nobody wants to talk obedience. 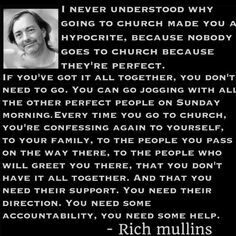 And while I believe it was Rich Mullins passion and mission to speak on the love of Christ, he understood the cost better than almost anyone I have known or studied. Now, some may suspect that I struggle with liking this movie because my hero is flawed. That is not true. I like honesty. I like sharing all my sins and struggles as I believe this is the only way I can minister. Nobody is ever going to buy me as a perfect saint, so the only thing I can do is let my true colors show. As a very, very ammeter songwriter myself, I tend to write songs where I am broken at the beginning but fixed by the end. I have a tenancy to want to yell, “Get healed already,” when someone I love is taking to long with a personal struggle. So, yes I like happy endings, this movie’s ending not so much. However, God helped me quickly realize that Mr. Mullins did not disappoint as Rich was finally healed the day God called him home. I guess I got my happy ending after all. So those who think I struggled with the movie because of Rich Mullins’ imperfections may be surprised that those imperfections were what made me LOVE this movie. I liked the realness of this movie. I like they showed Mullins a hot mess. I liked they showed he yelled at people. Why? Because I am a hot mess. I sometimes yell. I still want to be used by God. God clearly used Rich in his state. God will use me too! Furthermore, I liked seeing Rich struggle. Sounds mean doesn’t it? It is true. I liked that Rich refused to accept any part of himself that was not of God. I know he faced battles other than alcoholism. There were clearly issues behind the alcoholism. There have been rumors as to what those issues were, but only those who knew him know for sure. Whatever his issues were he had no peace and refused to just give in. Too many times, we put our happiness above following God. It would have been easier on Rich to just give in to those sins taunting him, but he chose God rather than empty “happiness” because he knew he could only be truly satisfied being in the will of God. 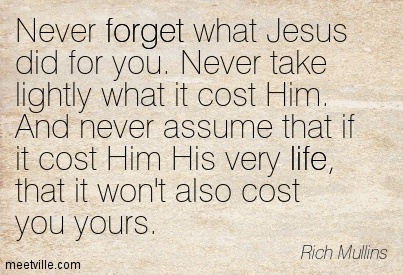 Rich Mullins paid a cost for following God and to me that is his legacy. There is a price for following Christ. Rich Mullins knew it and was willing to pay it. Let me ask you today, are you willing to pay the cost? Are you willing to give up your happiness to lead others into an eternal relationship with Christ? These quotes listed here are only scratching the surface of Mr. Mullins’ great insights. I encourage you all to look him up yourself. If you go seeking, I promise you will not walk away empty handed. Sometimes I think you are writing these posts just for me. A few months ago, I happened to stumble onto “Ragamuffin” (forgetting that I had prayed briefly months earlier about being able to see it). I loved and hated it, too. As you say, a movie is a pretty limited means of getting a complex, complicated story across. The photos and quotes you used are awesome. I am filing this in my “Walking With Jesus” file in my inbox for future reference. Missy, let me just say that whatever you think about your ministry or your success either now or in the future, you are an amazing writer, and you are using this gift to strengthen other believers. May God bless you both in it and for it! Thanks again for your great encouragement. You’ve been a great blessing for me. I have watched the movie twice now — months apart. And I still hate it. Not because they showed Rich’s imperfections and struggles — but because they did not show the rest of him. There are hours and hours of videos, concerts, and interviews of him available on the internet. In spite of his pain, he was funny, and kind, and thoughtful. And downright charming. The movie did not capture any of his charm. I love him more because he kept loving God through all of his pain. That day after day he continued not just to seek God, but to try to get others to truly understand the love of God. I wish they had caught that side of him. It would be my recommendation to anyone thinking of seeing this movie to watch/listen to at least 10 to 15 hours of Rich before seeing the movie. Don’t see the movie first and assume they captured his essence. Yes!!!! Thank you so much for sharing your thoughts. I wrote this a while back and let me just say that your statement “I love him more because he kept loving God through all his pain,” really hit home with me today and reminded me that Rich knew he was not perfect but he did not let his shortcomings come between him and God; he kept on seeking; he kept on serving; and he kept on praising! I have a tendency to retreat from God when I have messed up because I am ashamed. Of course, this is not what God wants and I once again thank you for the reminder. God bless!